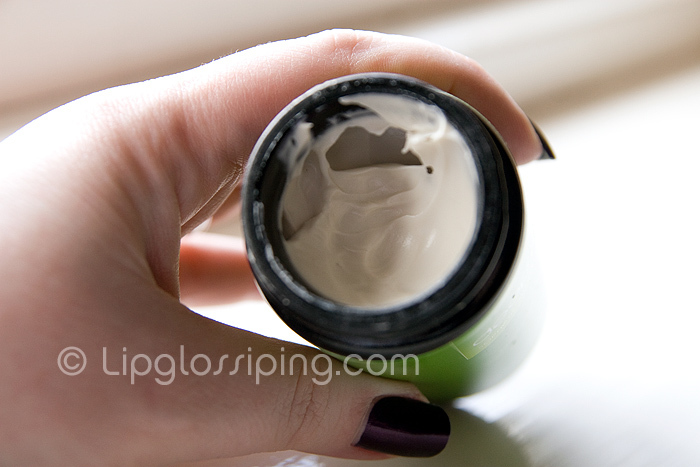 Long, long overdue is a review of my Deep Skincare – Rewarding Facial Mask. You may remember I reviewed their Splendid Smooth Legs balm a couple of months ago when they sent me a couple of products for review consideration and I meanly laughed at their product names. 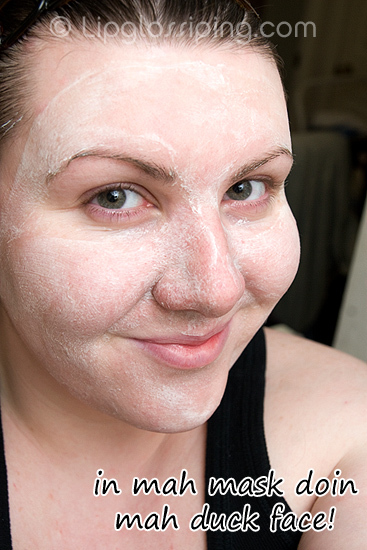 Well, I’m gonna do it again… Rewarding Facial Mask? *snort* Someone’s gone through the dictionary looking for adjecives ending in -ing and added them to each product name. Balancing Toner, Uplifting Serum, Sanitizing Face Mask, Smoothing Scrub, Embracing Day and Night Cream, Empowering Rinse, Revitalizing Peel, Penetrating Balsam, Tenderizing Srcub… and so on… don’t believe me? Go see for yourself. Anyway, enough scorn for one day… what’s the stuff like? It’s rather lovely. You can usually tell the quality of a product just by using your senses and this one is no exception. It smells heavenly, feels luxurious and looks creamy and substantial. I stopped short of tasting it, but if the rest of the senses are anything to go by… I’d be expecting white truffles. It applies and spreads easily onto my skin without glooping up like some face masks tend to do. It feels more like a heavy, heavy cream than some of the usual more sticky masks that I’ve used in the past. Once applied, it feels cooling on the skin with the slightest of tingles. Not painful or irritated tingle… just cooling. The scent is gorgeous. It’s a kaolin clay based mask with the added benefits of aloe vera, sesame and almonds. I leave the mask on for around 15 minutes and watch as it transforms from a white cream into a transparent veil. Washing it off with lukewarm water leaves my skin feeling softer and somewhat firmer. I haven’t noticed any other long-term benefits from using this product but as a quick pick-me-up, it’s fabulous. kudos for posting your face in the mask!